Perhaps the most anticipated regular season game in colllege basketball, Duke vs. Virginia delivered in every way including a brutal bad beat for Duke and UNDER bettors. Perhaps the most anticipated regular season game in colllege basketball, Duke vs. Virginia delivered in every way including a brutal bad beat for Duke and UNDER bettors. In a close game throughout, Duke opened up an 8 point lead with 44 seconds left. The Blue Devils closed as 3.5-point favorites at Bovada and looked like they'd reward the minority of bettors who backed Duke. Virginia sandwiched a dunk and three-pointer around two Zion Williamson missed free throws to close the gap to 69-66 with 26 seconds remaining. Duke's R.J. Barrett and Virginia's Braxton Key each sank two free throws apiece, leaving it a 71-68 game with nine seconds left. Virginia fouled Cam Reddish, a 72 percent free throw shooter. He made the first but missed the second, putting Duke up 4. With 9 seconds left and almost an impossible chance at a win, Virginia dribbled up court but fumbled it almost resulting in a turnover. In a bit of a rush, the ball found De'Andre Hunter for a mid-range jumper as time expired. The shot went in for two, giving Virginia the cover but Duke the 72-70 win. Not only did Virginia cover on the "meaningless" shot, the OVER hit. The total was 140 at Bovada on Saturday morning. <a href="https://twitter.com/BarstoolReags/status/1086794134764036096" class="embedly-card" data-card-width="100%" data-card-controls="0">Embedded content: https://twitter.com/BarstoolReags/status/1086794134764036096</a> With No. 2 Michigan also losing, No. 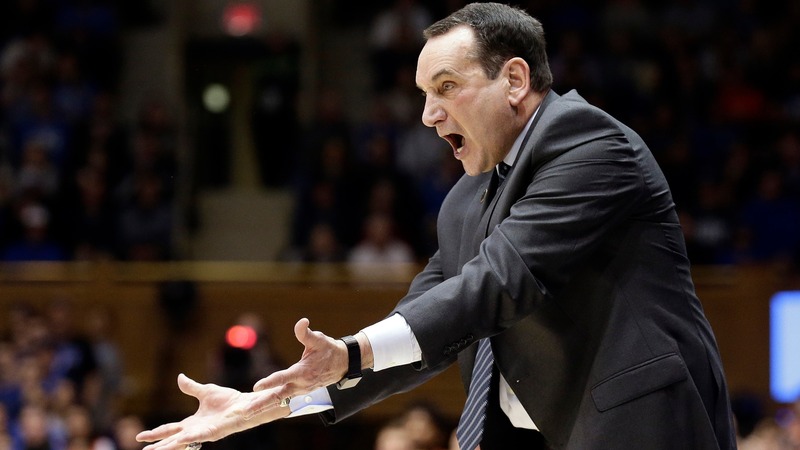 1 Duke could maintain its top spot or drop with No. 3 Tennesse rising as the No. 1 team in the rankings.